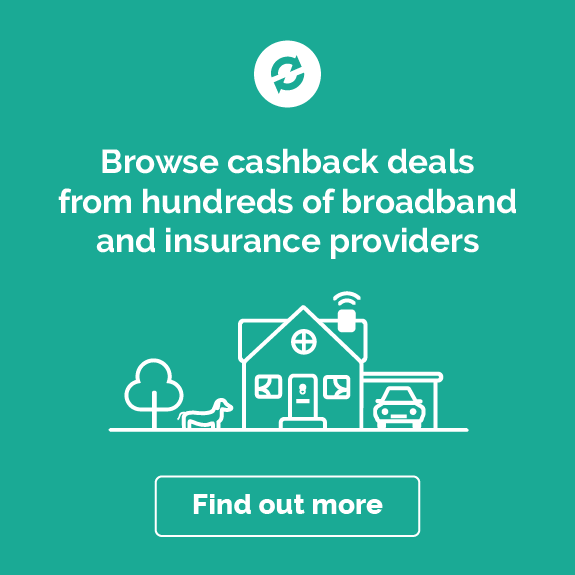 We’ve got exciting news for bargain lovers – Quidco are now giving you cashback when you shop for deals with Groupon. As one of the internet’s top destinations for vouchers and discount codes, Groupon connects members with thousands of retailers to bring them unmissable deals on meals out, local attractions, holiday bookings and much more. Sign up to Groupon for access to exclusive special offers and savings on all kinds of goods and services, from one-off trips and family holidays to household essentials and electrical goods. And with our cashback offers on top of all that, you’d be hard pushed to find better value anywhere else. Do you want to know how to make the most of your Groupon cashback? Read on to get inspired on how you can start saving! Groupon was launched in 2008 to connect customers with local businesses. It has gone from strength to strength and now operates in twenty-eight countries, with an ever-expanding network of merchants offering their services at knockdown prices. The range of goods you’ll find on the Groupon website and Groupon app is beyond imagination – think everything from concert tickets to pottery workshops. Thanks to their deals and promo codes, Groupon lets you make sure you’re getting the most for your money, whether you’re treating yourself or someone else. It's also a great source of inspiration when it comes to things to see and do. And, with cashback from Quidco, the rewards are even greater. Groupon users in the UK will find hundreds of discounts from local merchants at their fingertips. From Glasgow to London to Belfast, Groupon is there to put you in contact with all the best deals near you. Go onto the local section of the Groupon website to see specially selected discounts in your area. They’ll help you get the best of what your neighbourhood has to offer, by bringing you the best prices on activities and places to eat. You might even discover a new favourite restaurant or activity. And Groupon’s just as useful when you’re exploring somewhere new – if you’ve got a weekend away coming up, look for deals on top attractions and reduced-price tickets to shows, so you can have a fun-filled trip that won’t break the bank. The goods section of the Groupon website is packed with special offers on household items and personal accessories. You’ll find a vast electronics section with deals on sound systems, TVs and camera equipment. Get your hands on the latest tech releases, with offers on Fitbits, laptops and iPads, as well as low prices on refurbished Apple watches and phones. And if you’re shopping for your home, Groupon has tons of bargains on furniture and appliances. Along with their sales on beds, mattresses and sofas, they’ve got garden furniture and outdoor equipment, plus loads of extra bits and bobs, from kitchen sets to pot plants. In addition to day trips and activities, you can use Groupon to save on big purchases like weekend breaks and holidays. Browse the getaways page to discover thousands of deals on holidays in the UK, Europe and further afield. Whether you’re after a cosy retreat in the Cotswolds or a five-star holiday experience in Dubai, Groupon can find you amazing rates on accommodation as well as inclusive flight and hotel packages. If you’re just looking for flights, check out the Skyscanner-powered search tool that lets you input your travel details to see which companies are offering the cheapest airfares to destinations all over the world, from New York and Las Vegas to Sydney or Bangkok. If your friends or family are up for trying something a bit different, get inspired by Groupon’s great value deals on group activities. Plan an action-packed day out with discounts on paintball, go-karting and indoor climbing, or put your teamworking skills to the test by trying to work your way out of an escape room. If you’d rather something more relaxed, there are always discounts on concert or cinema tickets. For the adventurous and curious among you there’s the option to take up all sorts of hobbies and learn new skills – look for money off taster sessions for exercise classes, craft and cookery workshops and much more. With Groupon it’s cheaper than ever to grab some well-deserved rest and relaxation. Whether you’re thinking of having a group spa day or just want an excuse to indulge in some me-time, Groupon has spa and beauty offers to suit you. Take a look at the things to do section to see listings for spa deals and pamper sessions up and down the country. You’ll find massages and beauty treatments at affordable prices, and many of them are taster sessions you can easily squeeze into a busy schedule. If you want to go all out, Groupon has massive discounts on spa packages that allow you to enjoy your choice of treatments and spend as much time relaxing as you want. If you’re a fan of dining out, Groupon is the perfect place to get money off your next meal. They’ve got discounts at Bella Italia and other popular chains, as well as one-off deals on fine dining at independent restaurants and hotels. So whether you're a foodie couple looking to try out exciting new eateries or a family who wants a great deal at their favourite restaurants, Groupon is the place to go. For an extra special dining experience, try Groupon's selection of offers on three-course meals and tasting menus at top restaurants. And don’t forget the range of wine and beer tasting offers, which make ideal gifts. Groupon’s app lets you stay up to date with their deals and offers when you are out and about. Whether you are looking for a fun day out, a relaxing afternoon of spa and beauty treatments, a nice evening in a 5-star restaurant or you are simply hunting for a good deal on a new toaster – you don’t have to sit in front of your computer to get the best deals. Just download Groupon’s app and book your next treat while you are on the go. The great news is that you don’t have to miss out on your cashback deal when you are using the app, because Quidco’s mobile app is on really good terms with the Groupon app. 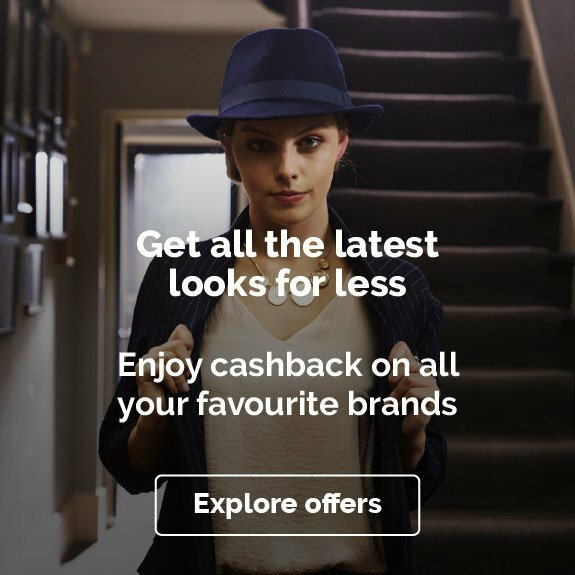 Simply open your Quidco app, navigate to Groupon’s cashback offers and click through – the Groupon app will open and you can shop as usual (make sure that you have Groupon’s app installed before though). If you do not have Quidco’s app installed yet, then pop over to our mobile app download page. Maybe you’re tired of recycling the same old present ideas for your loved ones year after year. Maybe you’re stuck trying to come up with a gift for the person who seems to have it all. Either way, Groupon is a treasure trove of inspiration when it comes to memorable, one-of-a-kind gift ideas. In the gifts section of the Groupon website, you’ll find experience packages and other present suggestions grouped according to different occasions and budgets. You could arrange for someone to have a picnic in a hot air balloon on their birthday, or take them on a helicopter ride as an anniversary gift. Not to mention all the hotels offering deals on luxury rooms – perfect for a surprise mini-break at any time of year. Alternatively, make it all about you. Why not earn cashback through one of Groupon’s spa and beauty deals? Groupon’s discounts, along with our cashback offers, mean you can get the most for your money when you book haircuts and nail appointments, along with a whole host of other procedures. Sign up for a treatment you’ve been meaning to try, with deals on teeth whitening, laser hair removal and more. Or give yourself an afternoon treat by booking a half-day spa trip with a Swedish massage or deep-cleansing facial. Why not earn your Groupon cashback by getting away from it all? Browse getaways on Groupon to choose from a wide range of holiday packages and hotel deals – before you know it you could be recharging your batteries in a country cottage or jetting off on a weekend break to Paris or Amsterdam. You’ll find hotel and flight listings for top European destinations at prices that are impossible to refuse. Fancy an afternoon of sheer indulgence? Look to Groupon for an array of discounts on afternoon teas. Dig into a traditional cream tea, or ramp up the luxury by booking a Champagne tea – because the only thing better than cake is cake with bubbles. Groupon has deals on afternoon teas at hotels all over the country, as well as at nationwide chains such as Patisserie Valerie, where they’ll serve you an assortment of delicious pastries along with your sandwiches and scones. You can also find afternoon tea deals included as part of many of Groupon’s spa packages. If you’re looking for something to do during the holidays, Groupon has offers on top attractions in all major cities in the UK, so you can have a memorable family day out that won’t cost the earth. If you’re visiting somewhere and want to explore, they’ve got money off on guided and themed tours, and there’s also cashback to be made on one-off shows and events. You’re sure to find something everyone likes the look of in Groupon’s events section, which has deals on concert and theatre tickets, sports games, museum exhibitions and much more. Anything else you’d like to know about shopping with Groupon? To help you get started we've rounded up answers to some of the most common questions, including details of cancellation and refund policies. Yes. Groupon processes countless transactions daily, and they're all completely safe and secure. Groupon also does its best to make sure that all its merchants offer customers a high level of service. If you're disappointed by any voucher or experience you've bought through Groupon, Groupon ask you to contact them so that they can investigate what’s gone wrong. Can I cancel a voucher on Groupon? Yes. If you buy a local voucher through Groupon, you will have a period of fourteen days during which you can cancel your voucher and have your money refunded (provided it has not been used). However, this isn’t guaranteed for all vouchers, so make sure to check the terms and conditions before you buy. You can also usually cancel trips bought through Groupon “Getaways” within fourteen days, as long as you haven’t already selected your travel dates. Can Groupon give me a refund? If you are unhappy with an item you have bought on Groupon, you can usually return it within fourteen days of delivery for a refund. Exact return policies will depend on the merchant, and, unfortunately, there are some goods that you cannot return. You can find instructions for your return by clicking “View details” under “My Groupons” on your account. Then you will have the option to click “Return package” to print a returns label. How do I redeem Groupon’s voucher codes online? Select the discount code you would like to use from the Groupon website and click “Get discount code” to see your code. Then click “Shop now” to be taken directly to your selected merchant’s website. Add any items to your shopping basket and redeem your discount at the online checkout by typing in the code. How do I print a Groupon voucher? To view and print a voucher you have purchased on Groupon, go to “My Groupons” and click “View details” next to your purchase. Click “Print voucher” to open your voucher. You can then save and print it like any normal file. Alternatively, you can retrieve your voucher without having to print it if you download it on your phone with the Groupon app. The next time you want to treat you and your partner to a spa day or whisk your mum away for an afternoon tea treat, make sure you check out some of the offers on Groupon. 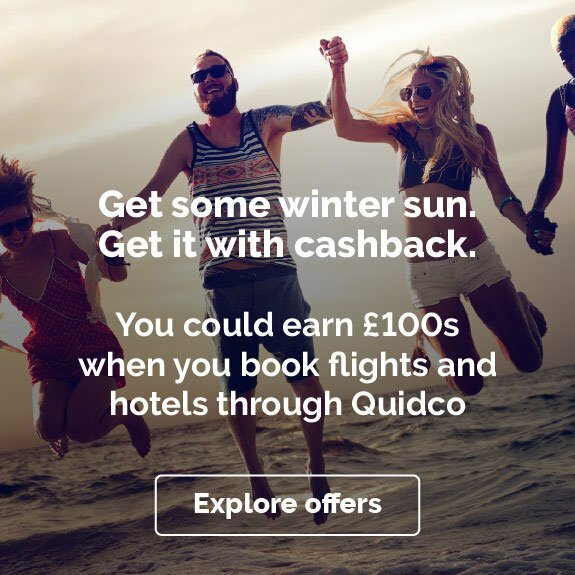 You can find some amazing deals on everything from spa days out, clothing, theatre shows and restaurants, plus with Quidco’s cashback, discount codes and voucher codes, you can really bag a bargain. We’ll post Groupon discount codes and voucher codes on this page from time to time, so before you get clicking, make sure you check back here to see if you can save even more. 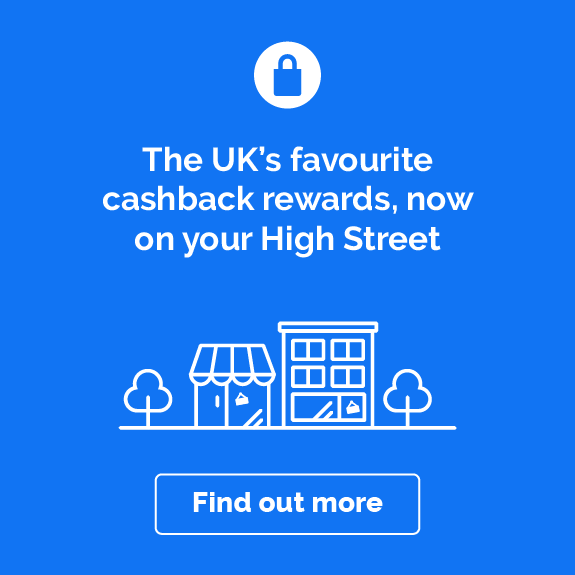 To make sure your purchases qualify for cashback as well, please only use the voucher codes and discount codes posted on this page, as any other third party codes may invalidate your cashback. 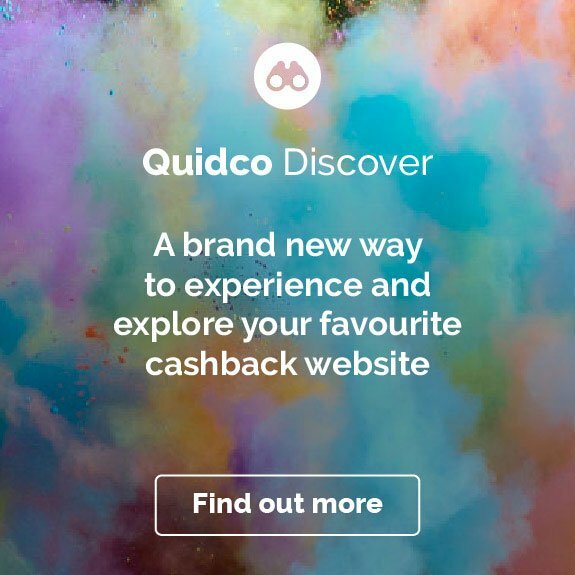 Groupon isn’t the only great-value booking site that offers cashback through Quidco. Check out our cashback deals with salon and spa booking site Treatwell, or get money back when you book low-cost holidays through popular travel companies such as Expedia, Lastminute.com and Booking.com.